Click for Random Surprise ! 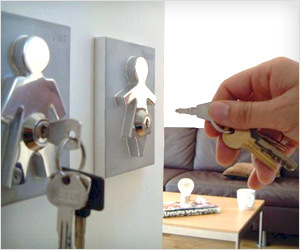 Couple Human Key Holders is very stylish and practical to use. It has set of two chrome finish key holders for couple with male and female form raised up against its background.